They were born into the world of digital data. They might be seen as entitled by other generations in the workplace, have the upper hand when it comes to technological competence, and many can’t remember ever using a landline at home. Yes, we are talking about millennials. You may already know that more than one-in-three American labor force participants (35%) are millennials, according to Pew Research. Millennials live and breathe technology. Apps such as Google Drive, Google Classroom, and Dropbox are considered the bare minimum in the schooling of their generation. They have been taught from a young age that the more apps they utilize, the more productive they become. Millennials are also a generation of problem-solvers, and if they’re not satisfied with the technology offered to them, they’ll find something better to use. They’re ready to take risks and innovate—nothing will keep them from making an impact and having a voice in what they are passionate about. More specifically, if the technology in their workplace is limited or outdated and they’re not satisfied, they’ll move on. In fact, 42% of millennials said they would leave a company due to "substandard technology,” in a study conducted by Penn Schoen Berland (PSB). That’s why, today, most millennial employees believe in having the freedom to personalize their workday by choosing the best SaaS apps they see fit for themselves. Managers are starting to push the idea of giving near complete freedom to their employees in order to offer more flexibility (and encourage more responsibility) in the workplace. 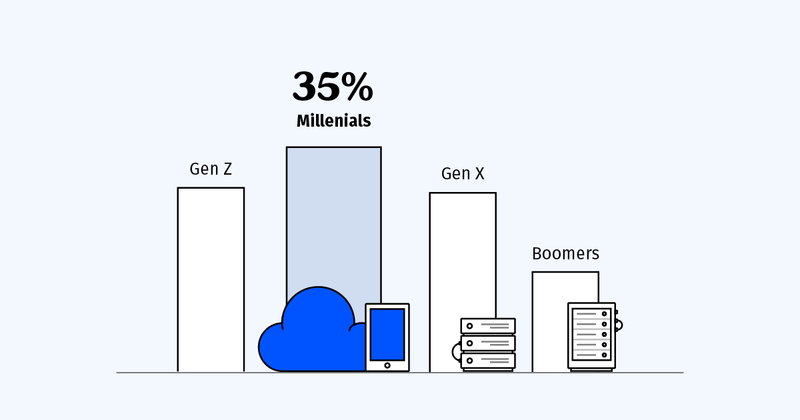 This approach of decentralized IT is becoming the more popular choice among companies with more millennial employees, replacing standard centralized IT. Sometimes this creates a divide between younger generations who prefer decentralized IT and older generations who tend to believe that centralized IT is more effective. Those preferring centralized IT resist giving it up, as it provides more security and consistency. Which approach is better? No one can be sure yet, and this is a known conflict arising from the digital transformation and increase of millennials in the workplace. We do know one thing for sure: the next generations are taking over the workforce. In 2025, millennials will make up 75% of the workforce (Brookings). Let’s Break Down Some Stereotypes . . . Myth: Millennials don’t know what it’s like to work hard. Truth: Today’s technology saves millennials from wasting time completing lengthy tasks that were once unavoidable. Today, there are countless apps in the market that can save you hours a day in your job. Just because millennials usually use these apps more than other generations does not make them more lazy, but more efficient in many ways. Myth: Millennials need someone to hold their hand every step of the way. Truth: Millennials are often inexperienced, but very independent. Millennials want to do things their way. Although they can lack some skills before starting a new job, they are fluent at figuring out their best methods of working. Truth: They choose to use the luxuries of their advanced education to their advantage. Millennials are focused on making the best of their opportunities. They know they’re the most educated generation yet, and aren’t afraid to use their relatively advanced knowledge in the workplace. After all, they want to contribute as much as they can to their work environment, and there is nothing wrong with that. In 1968, LIFE Magazine ran a cover story on the "Generation Gap," describing young Baby Boomers as "privileged, narcissistic, entitled, spoiled, lazy" young people. TIME ran a similar story on young Gen Xers in 1990, calling them "lazy, entitled, selfish, shallow, unambitious shoe-gazers . . . [who] have trouble making decisions. They would rather hike in the Himalayas than climb a corporate ladder." How are millennial IT professionals changing the game? They want to see the purpose or bigger picture for their role. A stable income is important, but a millennial’s real priority is being a part of something bigger than themselves. That’s why many companies today expand their IT roles beyond their traditional scope in order to keep millennials motivated—mixing in other roles such as product development or exposing them to other areas of the company. They want to work in a collaborative environment. Millennials want constant feedback. They want to know they are on track, and that requires high responsiveness from their colleagues. 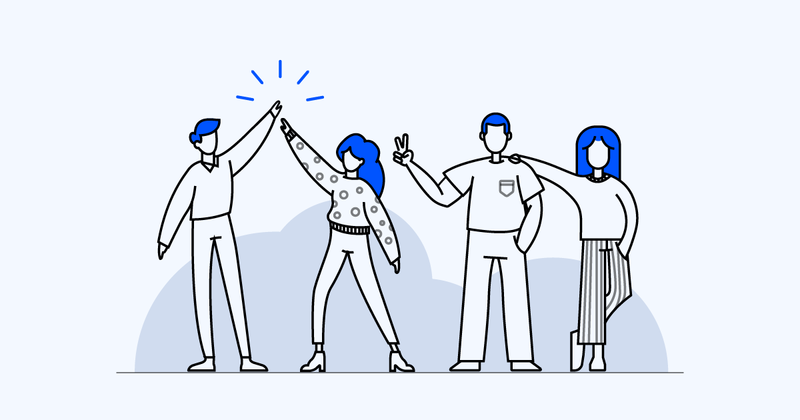 SaaS tools like Slack and Asana have made collaboration an instantaneous process, rather than the now-outdated methods of email and long face-to-face meetings. They don’t want to be confined by rules. Millennials want almost absolute freedom when it comes how they choose to work, as well as advancement opportunities within the company. They want the freedom to work from anywhere and they want their ideas to be treated the same as anyone else’s in the company, whether or not they're in an executive role. In short, they simply will not stand for the standard hierarchical structure of traditional organizations. Older IT pros want IT to maintain strict control while other employees listen. Younger pros are thinking forward: What tools are necessary to help get my work done in the most efficient and comfortable way possible? Torii is a SaaS management tool which helps IT bring agility to the business while keeping all SaaS tools under control. Get your free demo today.